Revengeofthe5th.net: ROT5's Eric Shirey Guests on Podcast The Rantcor Pit's "When Lucas Got Hammered"
ROT5's Eric Shirey Guests on Podcast The Rantcor Pit's "When Lucas Got Hammered"
I had the opportunity to sit in on Star Wars podcast The Rantcor Pit's special birthday episode, "When Lucas Got Hammered." The episode served as a birthday celebration for actors Peter Cushing (May 26th) and Christopher Lee (May 27th). Both actors were Hammer Film alumni and then, decades apart, starred in the Star Wars saga. You can check out the podcast after the jump. If you like "The Star Wars" and you like England's Hammer Horror films, then you are about to hear the episode of The Rantcor Pit you have been waiting for right now! Cole "JediCole" Houston and Eddie Medina are back with the latest episode of the Star Wars show that tackles the subject matter missed by most. This time they are joined by Hammer Horror enthusiast and Grand Moff Tarkin maven Eric Shirey! 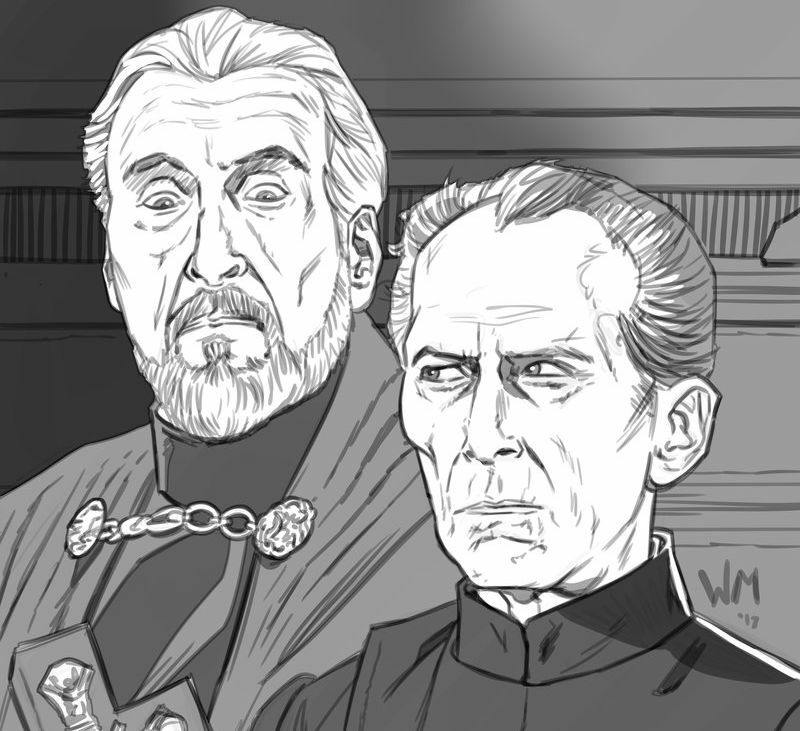 In celebration of the birthdays of two iconic Star Wars actors, The Rantcor Pit delves into the careers and Star Wars appearances of Peter Cushing and Christopher Lee.